UHSB programs are accredited by the Accreditation Council for Business Schools and Programs (ACBSP). ACBSP is the only global accrediting body which accredits business programs at the associate, baccalaureate, and graduate degree levels. Its membership extends to more than 60 countries, more than 1,200 member campuses and 13,000 individual members. The UHSB and its faculty are also members of the Association to Advance Collegiate Schools of Business (AACSB). AACSB’s mission is to foster engagement, accelerate innovation, and amplify impact in business education. It connects educators, students, and business to achieve a common goal: to create the next generation of great leaders. 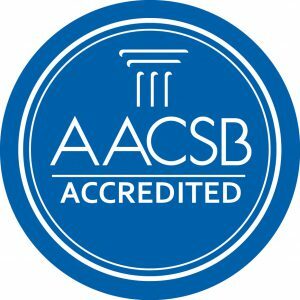 AACSB provides quality assurance, business education intelligence, and professional development services to over 1,500 member organizations and more than 785 accredited business schools worldwide.